How beautifully dramatic this japanned butterfly brooch is! 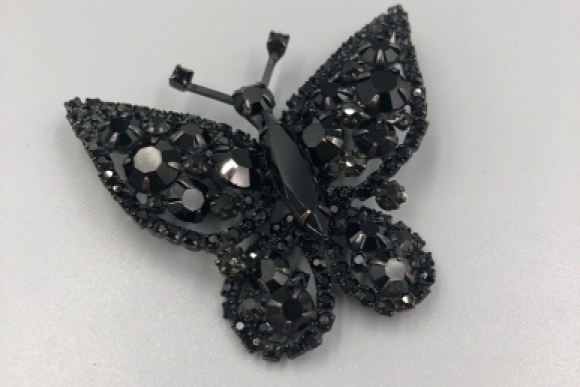 Hand set with glistening jet black rhinestones, the body of the brooch is japanned to add to the monochrome look. 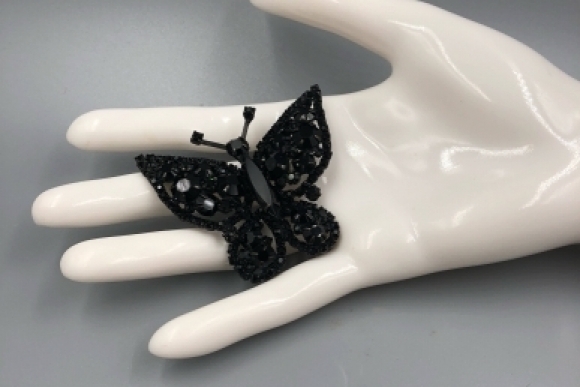 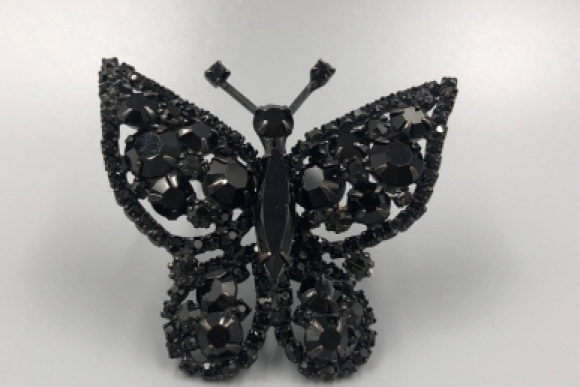 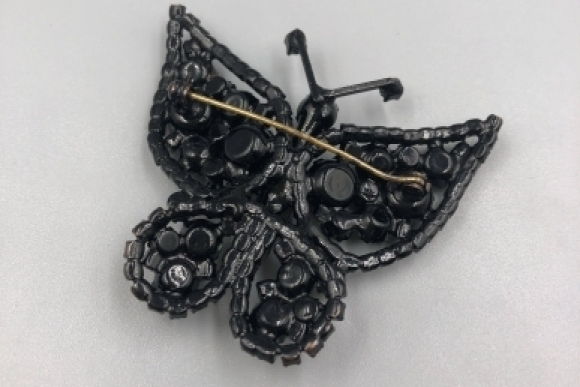 Pin on that special outfit and add some vintage drama with this gorgeous black butterfly! 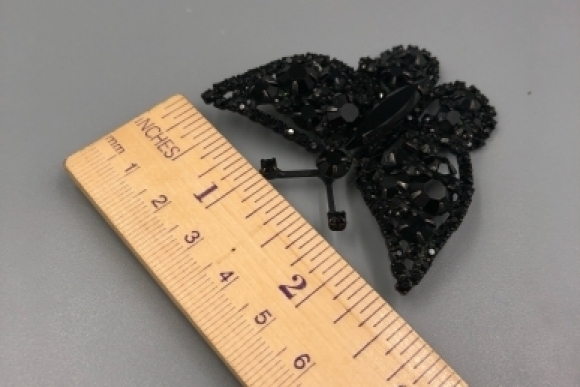 Measures 2" x 2 1/4"